My parents could have given me any first name at all, like John, Kevin, Shmevin ... ANYTHING. Instead I’m stuck with the worst name since Mrs Face called her son Bum. Weir Do’s the new kid in school. With an unforgettable name, a crazy family and some seriously weird habits, fitting in won’t be easy... But it will be funny! Anh Do is a much-loved TV personality, artist, actor, comedian, producer, speaker, and an award-winning, best-selling author. Anh’s hilarious children’s books keep kids laughing for hours. 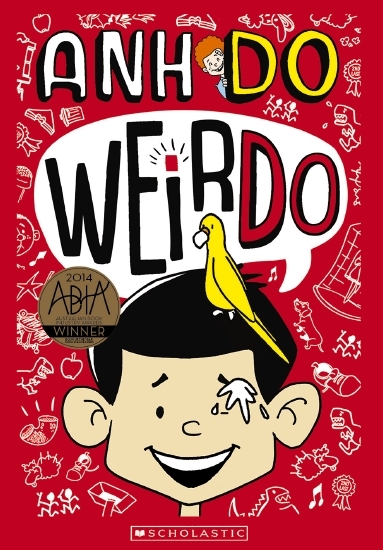 The first book in his junior fiction series WeirDo was awarded ABIA Book of the Year in 2014, and now, over ONE MILLION WeirDo books can be found on kids’ bookshelves around Australia! In 2016, Anh released his second series, Hotdog, which follows the mad adventures of a sausage dog and his friends Lizzie and Kev! Anh’s HOTLY ANTICIPATED new series Ninja Kid is coming in March 2017! MESSY WEIRD #10WeirDo #10: Messy Weird! TOTALLY WEIRD #5WeirDo #5: Totally Weird! HOPPING WEIRD #12WeirDo #12: Hopping Weird!